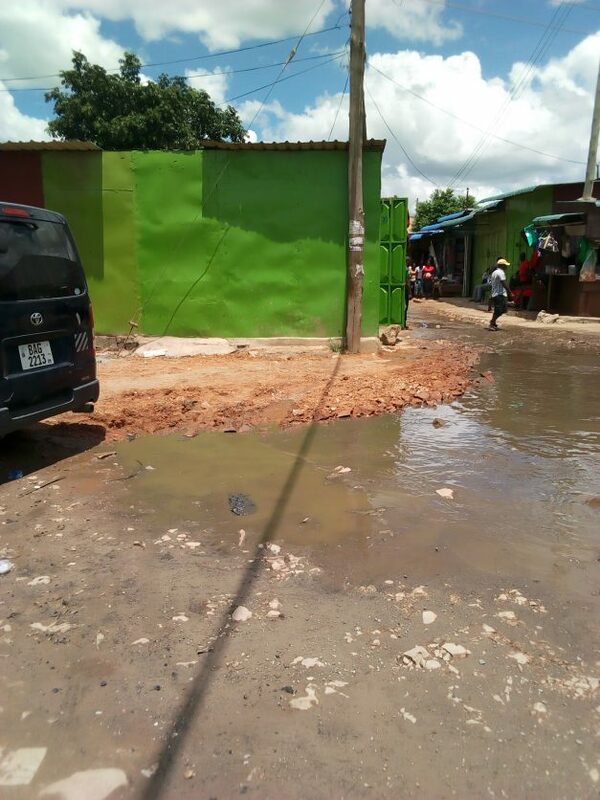 are growing fears of a cholera outbreak at Lusaka’s Comesa Market due to lack of proper sanitation facilities and the flooding that has resulted from the construction of illegal structures on gazetted roads and drainages. Traders spoken to at Comesa have expressed willingness to comply with the Lusaka City Council’s directive to vacate the area as they fear a repeat of last year’s cholera outbreak that claimed more than 60 lives. The cholera outbreak, one of the worst in the country’s history, prompted Government to introduce Statutory Instrument number 10 of 2018 that strengthens laws against trading in undesignated places and public nuisances. In other words, Government outlawed street vending and went ahead to enlist the held of the Zambia Army and state police to rid the streets of Lusaka of vendors and and demolish all illegal structures. Most parts of the city have complied with the new law, but the illegal traders at Comesa Market continue to defy the law thanks to a powerful clique made up of foreign nationals and PF cadres which operates under the guise of a market committee. This cartel, led by a Ugandan national named Farook Mwale who has earned himself a fearsome reputation, has been collecting all kinds of levies from both the legitimate shop owners and illegal traders, including surveyor’s fees which he pegged at K250 per trader (these amounts have already been paid to him). How does a private individual collect surveyor’s fees on a government gazetted road? In the previous article, this writer revealed how grand corruption and political posturing was preventing the local authority from enforcing SI 10 of 2018. It has since emerged that the illegal traders occupying the structures pictured are willing to comply with the local authority’s directive to demolition their structures but have warned the cartel’s leader Farook Mwale that should he not refund their money, they will report his political activities to the immigration department. But it appears this Ugandan national and his cohorts are unwilling to stop their illegal enterprise. Just yesterday, the cartel attempted to patch up the roads with gravel. 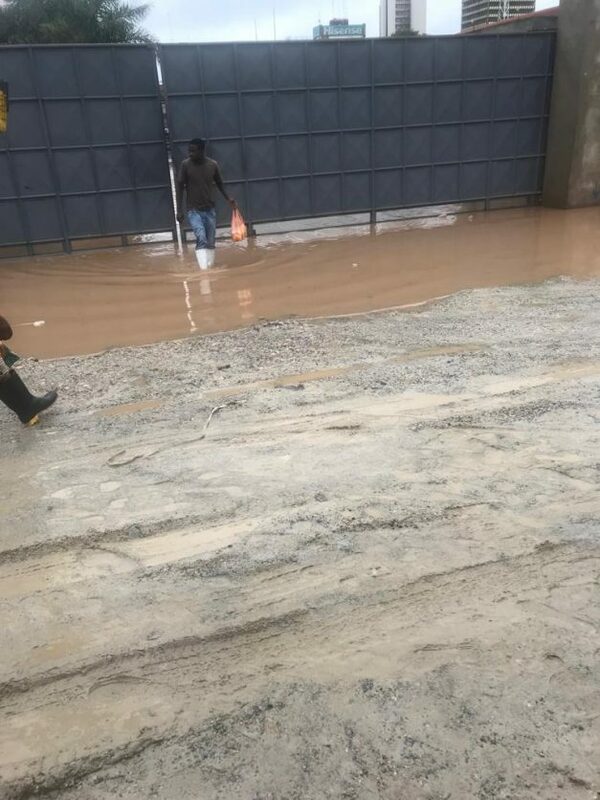 But they have botched the job due to poor workmanship, resulting in more flooding (as can be seen on the images) and therefore increasing the risk of a cholera outbreak. All these activities are taking place with full knowledge of the Lusaka City Council. Are they waiting for the Zambia Army to move in and prevent another deadly cholera outbreak?